Just lately, my hair has been falling out more than usual. After googling why this may be, one of the recurring answers was that I probably wash my hair too much. Which I've always known is true. Since secondary school, I've washed my hair every day, because I hate the feel of greasy hair and just feel too self conscious if I don't. My hair gets really greasy so quickly! But since my hair has been falling out and I am trying to grow it, I decided to try dropping back to washing it every other day. Which meant I would definitely need a dry shampoo. I've always been a fan of Batiste and just automatically picked it up without considering my other options. 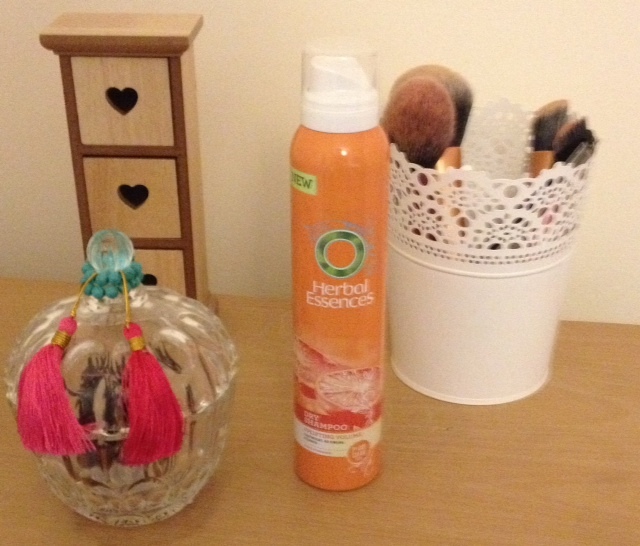 But when I was in Superdrug the other day, I noticed this Herbal Essences Uplifting Volume Dry Shampoo on offer for £1.49 and couldn't resist. I'm so glad I purchased this product. While I'm not a fan of the Citrus fragrance myself (it was the only one they had), I absolutely love how this feels in my hair. With Batiste, I felt that the powder was too thick and always left a white mist in my hair, whereas this is a much fainter spray, but still does the job. PS - I have finally gotten around to creating a Twitter account specifically for my blog. 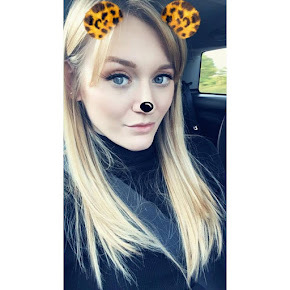 I would love it if you could follow me, I will follow your blogs back and would love to chat all things life and beauty related!